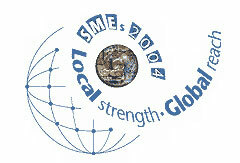 The International Network for Small and Medium Sized Enterprises-INSME is a nonprofit Association open to international membership.Its mission is to stimulate transnational cooperation and public and private partnership in the field of innovation and technology transfer to SMEs. Abu Timam Grant Thornton is a member firm of Grant Thornton International, one of the world`s leading organizations in accounting and consultancy services. They specialize in providing assurance, tax and advisory services to privately held businesses and public interest entities. The National Business Centre (NBC), which serves as an incubator for entrepreneurs and small businesses in the Sultanate, established in 2012 by the Public Establishment for Industrial Estates, the NBC aims to support Omani youth by acting as a premier platform for training, mentoring and business advisory. The Centre also provides office facilities as well as business supportin subsidized rates. The Zubair Small Enterprises Centre (Zubair SEC)is one of the initiatives which emanated from the Zubair Corporation’s Social Responsibility strategic vision towards the Omani society. 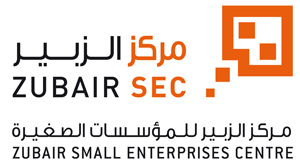 Established in 2013, Zubair SEC is envisioned to be more than an incubator for small businesses. It is a professional body that capitalises on its high professionalism, diversified offered knowledge, wide range of accumulated expertise, and its own global and local network and strategic partners. Zubair SEC also builds on the Zubair Corporation’s strengths to lead positive change in the local business environment which supports small businesses and promising initiatives in the Sultanate.